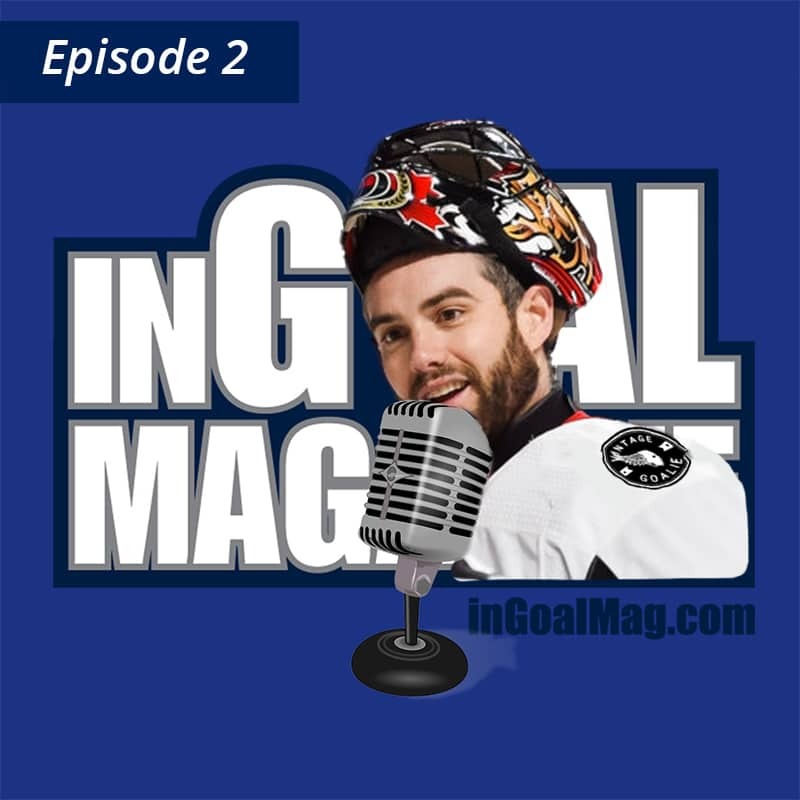 Episode 2 of InGoal Radio is now live. Join host Daren Millard along with InGoal founders David Hutchison and Kevin Woodley by subscribing to the new weekly program, available on leading podcast platforms. This one is worth it just to hear Mike’s impersonation of legendary coach Mitch Korn but you’ll stay for more as longtime pro Mike McKenna pulls back the curtain and tells us what it’s like to move from franchise to franchise, how he has worked with the biggest names in goaltending coaching, he shares his extensive experience with gear and much much more. We could talk with Mike all day and we hope you enjoy this glimpse into his world. Matt, the founder of Vintage Goalie also joins us to share a bit about his days as a designer for Bauer and how he later began the rising clothing brand for goaltenders – vintage and modern alike. We’ve had two pro guests in two podcast episodes and both showed up wearing Vintage Goalie clothing. Hear from Matt today and you’ll get a feel for why that is. Referred to in the podcast, read InGoal’s most-read article ever – Mike McKenna wrote this one himself, sharing the gear he wears, piece by piece.